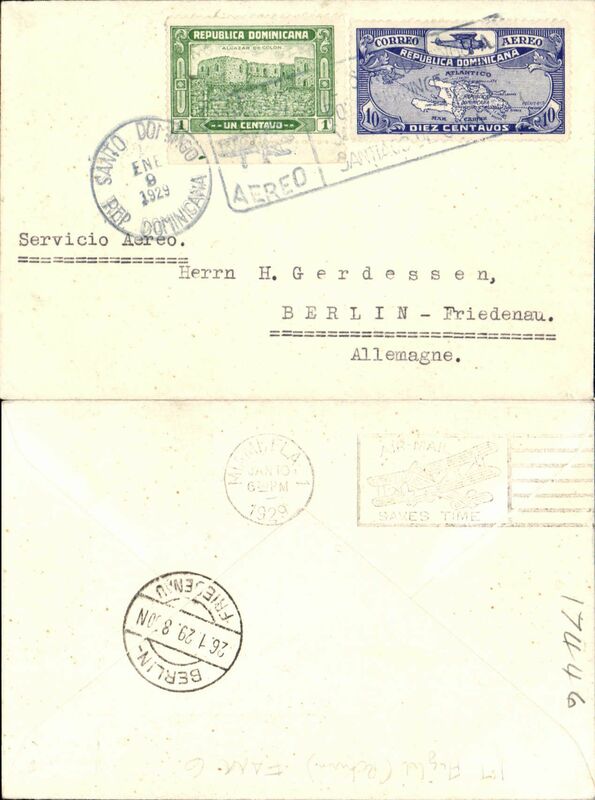 First acceptance for Germany, Santo Domingo to Berlin, bs 26/1, carried on FAM 6 F/F Santo Domingo to Miami, bs 10/1, plain cover franked 11c canc Santo Domingo cds and boxed airmail F/F cachet. 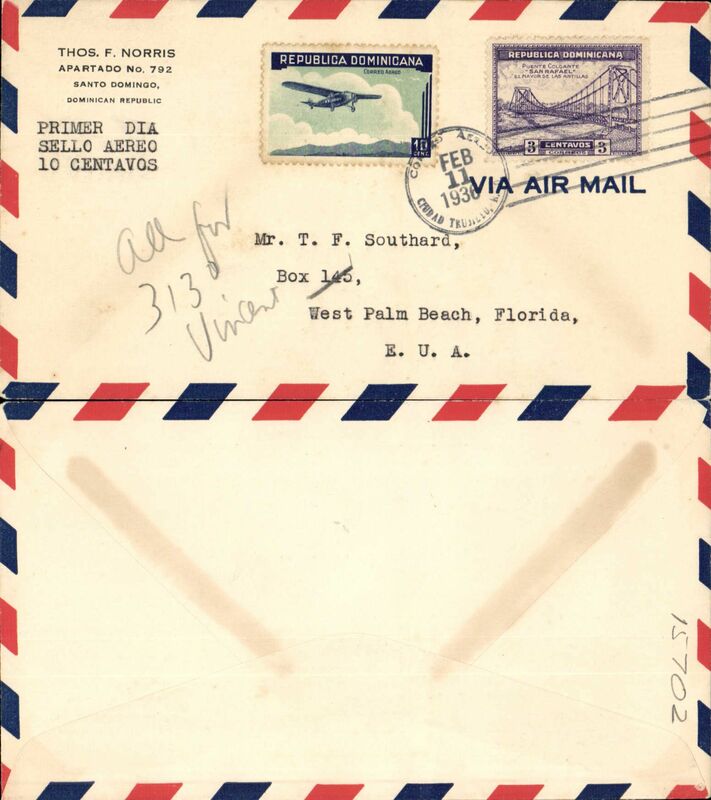 Airmail cover, Cuidad Trujillo to West Palm Beach, Florida, no arrival ds, franked 13c inc FDI 10c air. 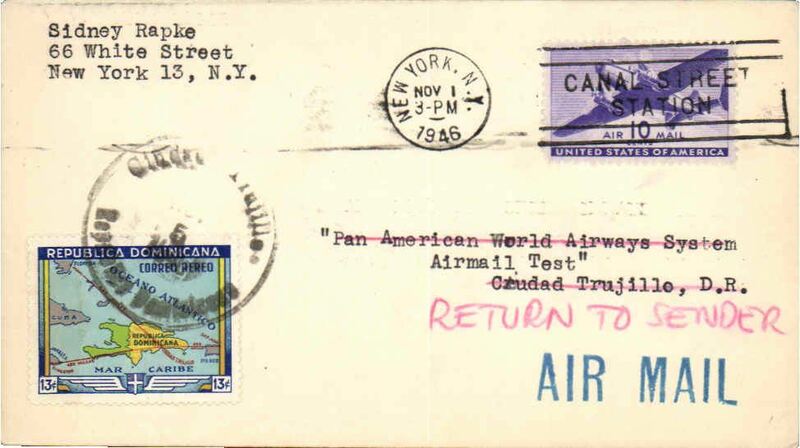 Airmail round trip test letter to Trujillo, Dominica, with red ms, "Return to Sender", b/s 4/11, added 13c Dominica stamp cancelled for return, and red" Received/ Pan American Airways/4 Nov 1946" hs verso. Scarce souvenir of an important new rate which is not listed in AAMC". 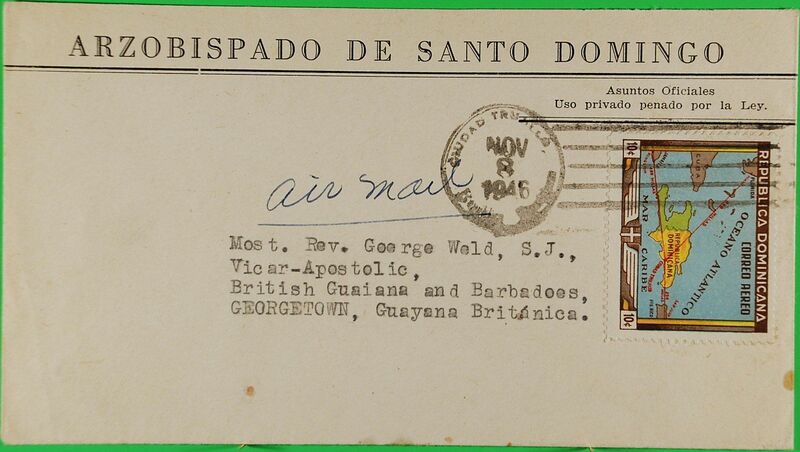 Episcopal airmail, Cuidad Trujillo to Georgetown, British Guiana, bs 10/11, ms "Air Mail", official envelope from the office of the Archbishop of Santo Domingo, franked 10c - a preferential rate for the clergy?. 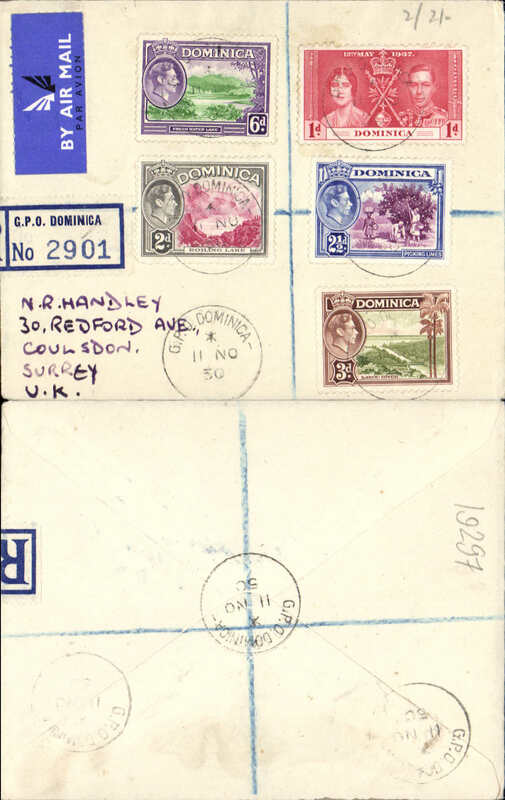 Non philatelic registered (label) airmail etiquette cover to England, no arrival ds, franked 1/2 1/2d with various KGVI stamps, canc GPO Dominica cds.